Personal announcements, general kite stuff or what have you, if it doesn't easily fit into one of the main discussion topics or kite classifications, this is the place for you. If you know where to find kite videos, let it be known! In addition to general footage, Kitelife is always looking for more sport kite competition or demo routines to add to their video database. If you have a collection of photographs, new or old, post a link to them here! Mugshots, aerial and ground shots of kites all apply of course. 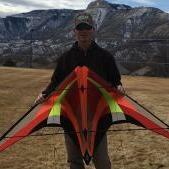 Looking to off-load a new or used kite out of your personal collection? Post, name your price and someone may just be in need! Discuss kite making techniques, styles and applications here! Looking for other kite fliers in your part of the world? Click in here, find your the discussion for your general area and say hello - kiting is better with company, make a connection here! If you don't see your area listed, send the admin a note and we'll try to arrange something. Where did you fly today & what were you flying? Have an ideal spot to fly, or even a memorable one away from home? Share it with other visitors, arrange to meet, or comment on ones you see here! Tips for safe transport of kites as well as advice for dealing with any aspect of travel to and from kiting events. For sport kite, single line, foil, or anything under the sun... Feel free to exhange info and share web links for others to enjoy.